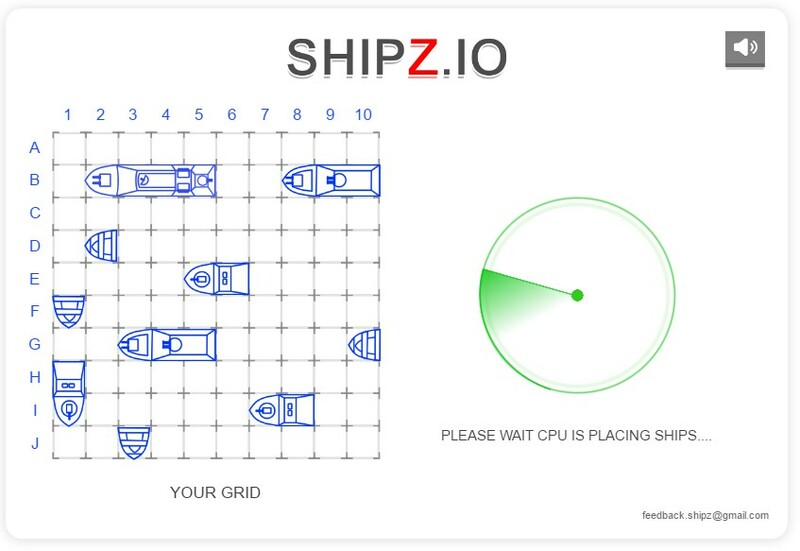 Shipz.io is a remake of classic battleship board game with a great touch. For those who love the classic Battleship, Shipz.io would be a welcome addition and here's why! Shipz.io is fast, fast and fast! It loads fast, the computer moves fast and the control is responsively fast, even on mobile. In Shipz.io, if you score a hit, you will get a free chance to hit again. This simple tweak totally changes the strategy and or luck factor of the game. Another feature that Shipz.io introduces is the fact that once you sink a ship, all adjacents tiles are marked a miss, which means that you can never place your ship next to each other. 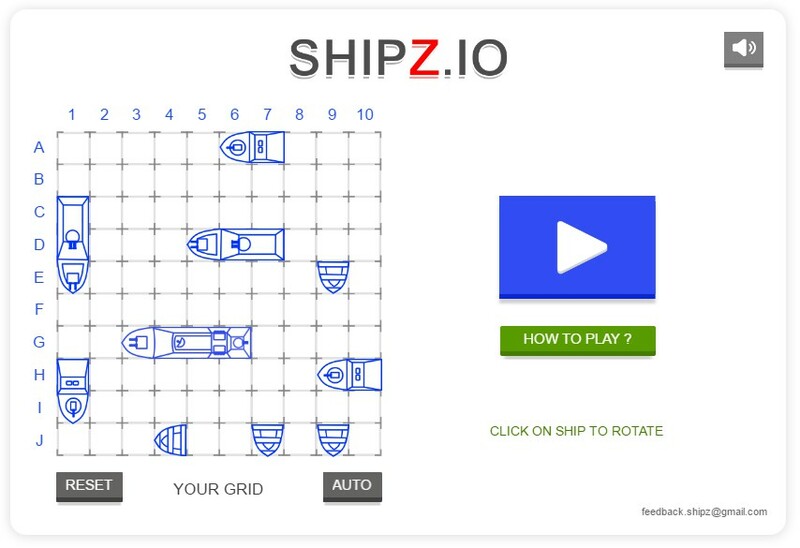 Shipz.io works on mobile devices You can play Shipz.io anywhere. It's lightweight so that you can play it anywhere as well as in the office. I guess I can say that this can be the new Solitaire that took over the working world in the 1990s! 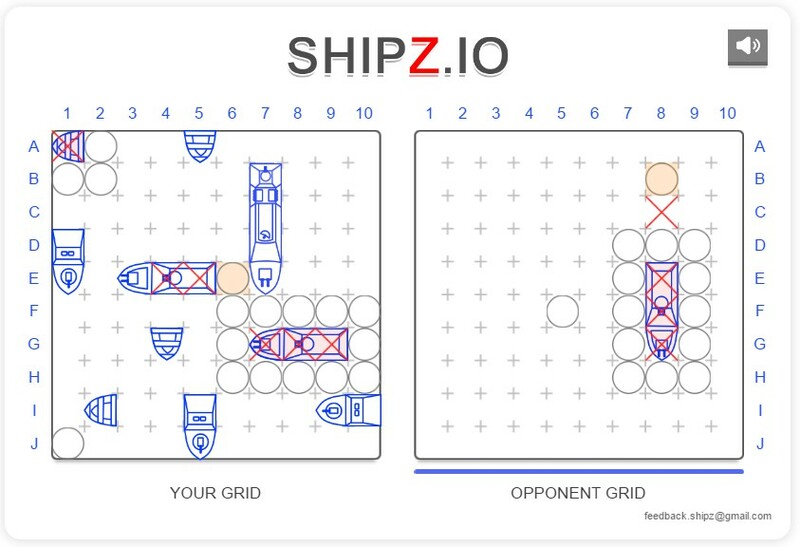 Overall, despite having a minimalist art style, Shipz.io is a classic battleship rendition that I can totally enjoy on and off work. The best feature about it is its loading speed which is probably the reason for its minimalist style.